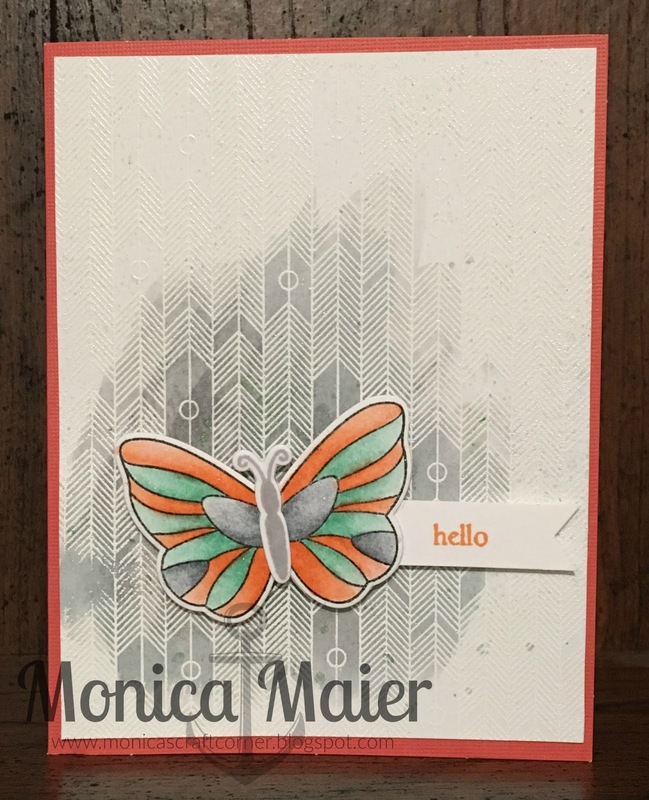 This month over at a2z scrapbooking are challenge is watercolor. For my card I heat embossed some watercolor paper and added some gray for a wash of color. 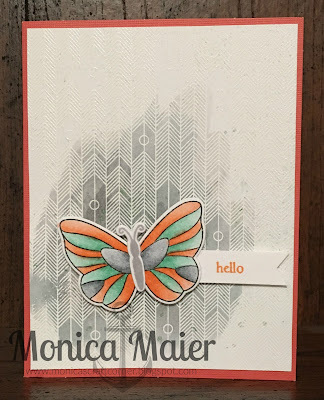 I then stamped and colored the butterfly using my water filled wink of stella and some distress markers. Once it was dry I ran it through my cuttlebug to die cut it. Stamped my sentiment on a piece of scrap and fishtailed the strip. Added my panel to a cardbase. Thanks for stopping by and have great day!!! I love the background you made for your lovely butterfly. Beautifully done.